This MARS Multi-Band Omni Antenna covers all bands for 2G, 2.5G and 3G cellular, as well as UHF (760-960 MHz), LTE (698-806 MHz), ISM, CBRS, WLAN, UNII, Bluetooth and Wi-Fi bands. 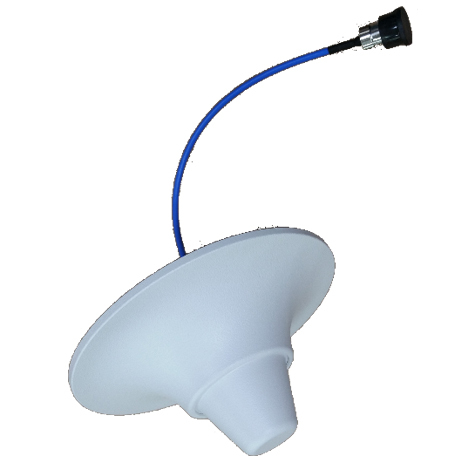 The antenna is aesthetic, small and has an unobtrusive profile that blends easily with any environment. Easy-installation makes it highly recommended as an outstanding logistic solution for In-Building Installations.